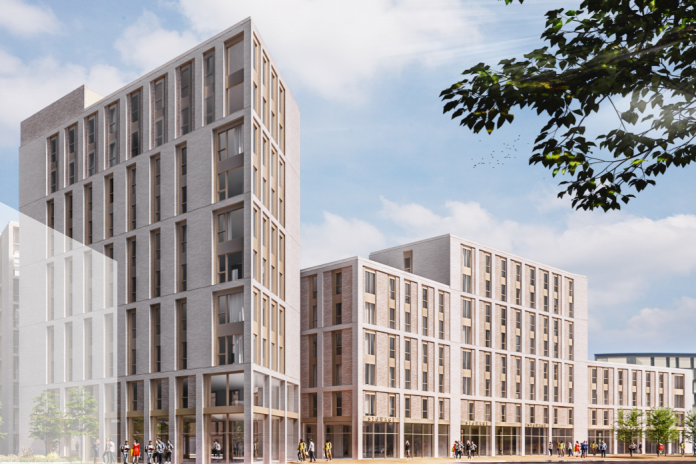 Plans from Standard Life Investments for new purpose built student accommodation with commercial floor space in Lincoln have been rejected, despite City of Lincoln Council previously recommending the bid for approval. 10 blocks between four and ten storeys in height containing 1000 students flats would have been built on St. Marks Retail Park. The area is currently occupied by a Homebase, Lidl Outlet, Topps Tiles units and part of a BHS unit. A statement from the council in a document released ahead of the final decision, in favour of the plans, said: “The development would deliver economic and social sustainability directly through the construction of the development and the uses proposed therein; and indirectly through the occupation of the student accommodation, spend in the City and retention/creation of other jobs due to the location of the development within the City. “The location of additional accommodation in a sustainable location would not undermine this position, rather it would serve the University that continues to grow. With this suitably designed development, the implications upon the character of the area and the impact of the development upon general amenities would not have negative sustainability implications for the local community, as they would lead to a development that would be socially and environmentally sustainable.